Honey has numerous health benefits. Not only is it an optimal sweetner for smoothies and all other foods, it contains microbes, benefitial minerals and phytochemicals. Antioxidants, Flavonoids, and the way honey promotes healing make it a superfood. This is something you simply have to have for a well-balanced diet. Phytochemicals are natural biologically active chemicals manufactured in plants such as quercetin, lycopene, menthol, and anthocyanins. Basically these wonderful little plant chemicals help promote human health in countless ways. Just Google search any of those and you will see. Phytochemicals are naturally infused into honey through the honey bee while they are out gathering their nectar. Floral honey, or honey taken from plants, tends to have a high about of phytochemicals that also act as antioxidants. Look up antioxidants in Wikipedia and you’ll see what they are good for, but essentially they are able to stop free radicals from wrecking havoc inside of our cells and organelles. This is just an added benefit to using honey. We can obtain antioxidants through fruits and vegetables directly, but adding honey, or using it as a sweetner substitute helps put more of these beneficial microbes into our system. 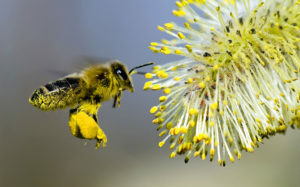 Bees naturally forage on flowers from plants and trees. Like humans they do like a nice variety of foods, and a variety is really beneficial to their longevity. Modern bee practices that have been introduced in the past 100 years has really taken its toll on bees and honey lovers. There are a couple of topics I want to touch on that will just scratch the surface but I hope it piques your interest enough for you to dive into these topics. Some of the foods beekeepers have introduced into the hives are: Sugar, Corn Syrup, antibiotics, as well as a practice of monocropping. For obvious reasons the first three are harmful to the bees, but the last one, “monocropping” is the practice of carting bees to specific areas in order to have them mass pollinate plants and trees. The most commonly known form of monocropping is on farmlands such as Corn fields, but also the Almond trees in California pay big bucks to beekeepers. A healthy bee makes a healthy hive. This is true because 1 bee is the building block for the superorganism. So bees need a few essentials in order to survive: food, water, and shade/warmth. According to the prominent bee Expert in Scottsdale Arizona, “Bees do a much better job of taking care of the hive than we (as beekeepers) can do.” Bees are all about in the environment and make our food production in order to stay healthy possible. Bees will move in anywhere. Which is why a bee removal is needed everywhere. Beekeepers will relocate and save bees so they can then be relocated to a bee box. 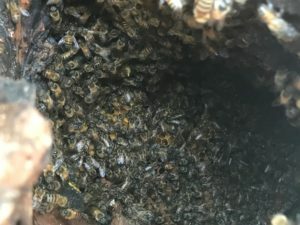 Bees have been found 50 foot up in trees, and 10 foot below boulders. From Cars, to tires, to boats, bees can be found anywhere. It is actually a great thing that bees can be so hardy as they are in Scottsdale and Phoenix Arizona. Speaking of the Valley of the Sun Pools are also a common place where humans and bees tend to cross paths. Should we save the bees? The question pops up, “should we save the bees?” I mean, think about it, bees are bothering people in pools, and it has been said that Africanized bees are making their way across the U.S. Derek Abello, Arizona’s #1 bee removal beekeeper says that, “it’s actually been reported that there was an Aricanized species of bees found in every single County of Arizona”. But does that stop his company from saving the bees in Arizona? “Absolutely not!” Derek responded to me in a recent conversation. His Company Abello Bees helps relocate and rehabilitate bees from all over Arizona and the United States. You can find his service by clicking here; Bee Hive Removal Scottsdale . Well if you think about it, it’s not too hard to draw the connection between saving bees, and honey and health. As I mentioned in my bio, I am a biologist by training, so naturally I try to dig down to the best way to improve my health, and since bees are crucial to our food production, we simply need to save them. If you want to learn more about the bees, I highly suggest you click the link above, or Check out Derek’s company online. We are currently gearing up to get you some cool encouragement and ways to keep sharpening your fitness game. Check back here for more to come in the future.